Why do we need remote sensing to measure ozone ? Ozone is a gas present in 2 layers of the atmposphere. Tropospheric ozone is located between the ground and 10-18 km up. The stratospheric ozone layer is generally located from 10-18 km to 50 km up. So it is easy to understand that, except from ground level ozone, no ozone measurements can be made without remote sensing instruments such as Lidar and satellite or airborne sensors. 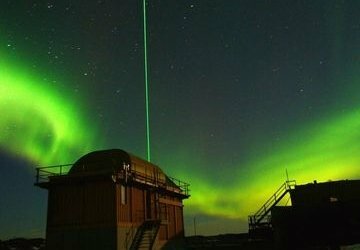 Much more about ozone in tutorial Remote sensing using lasers ! 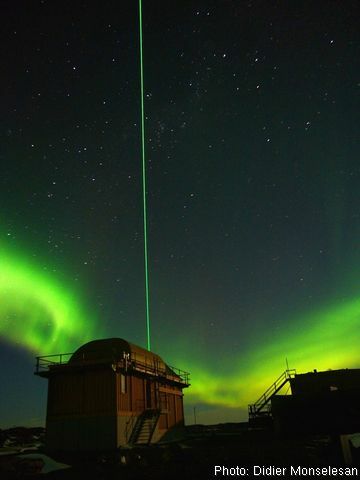 Lidar at Davis station, Antartica. Photo: © M.Lambert/Australia Antartic Division Australia Antartic Division.